In The Awesome Adventures of Captain Spirit, you play as Chris, an ordinary 10-year old boy who dreams of being a superhero. Chris has a big imagination that will take him on all sorts of adventures, but on this particular Saturday something truly extraordinary will happen to him… This stand-alone adventure that will also give you a glimpse into what the brand-new story and characters of Life is Strange 2 will be… but only if you’re clever enough to piece the clues together! The Awesome Adventures of Captain Spirit was released on PC, PS4 and Xbox One 299d ago in the US and the UK. Notify me when The Awesome Adventures of Captain Spirit is available. Based on 14 The Awesome Adventures of Captain Spirit reviews, The Awesome Adventures of Captain Spirit gets an average review score of 79. The Awesome Adventures of Captain Spirit is light on actual awesome adventuring, but it certainly has the spirit of Life Is Strange throughout. If The Awesome Adventures of Captain Spirit cost a bit of money, we’d still highly recommend it. An excellent, painfully brief piece of storytelling, with some decent characters and a lot of heart. The Awesome Adventures of Captain Spirit is a short and sweet jaunt through a young boy’s imagination. Once again Dontnod has crafted a world ripe to explore. It's a beautiful game, and one that leaves you all the more excited about Life is Strange 2. The episode may be short, but it leaves us wanting to spend more time with Chris and the world of Life is Strange. Whether you continue the story in Life is Strange 2 or not, The Awesome Adventures of Captain Spirit can, and will, give you an emotional trip down memory lane. Captain Spirit challenges players to approach it with a different perspective and that challenge is one everyone should welcome. Chris may be a superhero but he's also an underdog. Everyone loves a good underdog story. Adoring and feeling for this kid is just too damn easy. 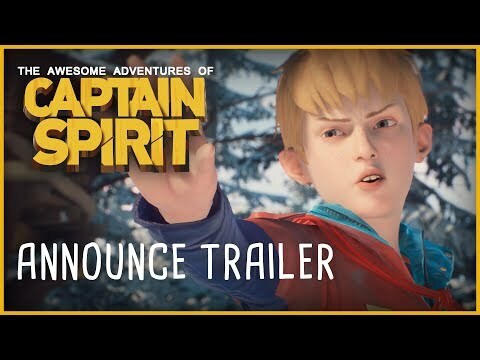 As a teaser for Life is Strange 2, Captain Spirit does its job, but here’s hoping there’s more subtlety to the writing for the next big thing from Dontnod. The Awesome Adventures of Captain Spirit thoughtfully examines a troubled childhood through the eyes of the 10-year-old living it.